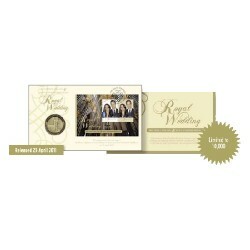 2011 PNC's There are 23 products. 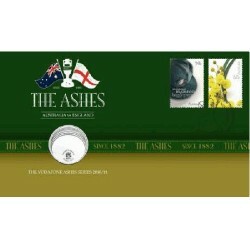 2011 Royal Wedding Medallion Cover To commemorate the marriage of His Royal Highness Prince William of Wales and Miss Catherine Middleton on 29th April 2011. 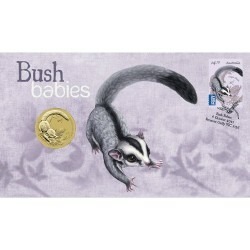 2011 $1 Bush Babies Sugar Glider Coin and Stamp Cover PNC The Perth Mint and Australia Post have just released the next release in this adorable series featuring iconic baby animals. 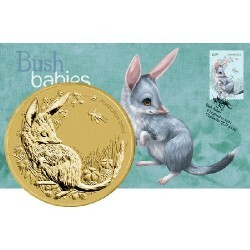 2011 $1 Bush Babies Bilby Coin and Stamp Cover PNC The Perth Mint and Australia Post have just released the next release in this adorable series featuring iconic baby animals. 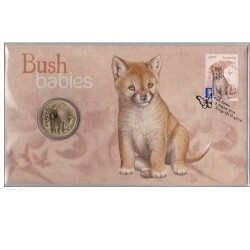 2011 $1 Bush Babies Dingo Coin and Stamp Cover PNC The Perth Mint and Australia Post have just released the next release in this adorable series featuring iconic baby animals. 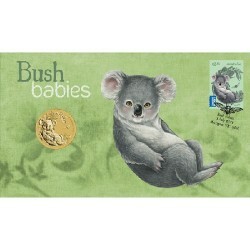 2011 $1 Bush Babies Koala Coin and Stamp Cover PNC The Perth Mint and Australia Post have just released the next release in this adorable series featuring iconic baby animals. 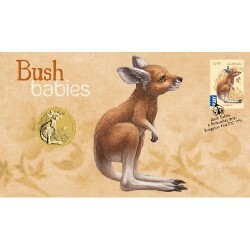 2011 $1 Bush Babies Kangaroo Coin and Stamp Cover PNC The Perth Mint and Australia Post have just released the next release in this adorable series featuring iconic baby animals. 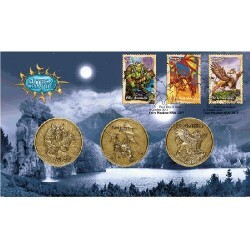 2011 Mythical Creatures Medallion Cover 2Troll Griffin Dragon The world of ancient myth and legend is brought to life for the child in all of us with these six mythical creatures. 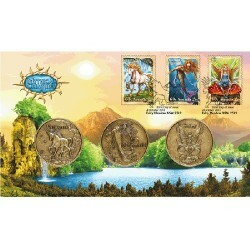 This 3 Medallion set features the Troll, Griffin and Dragon. 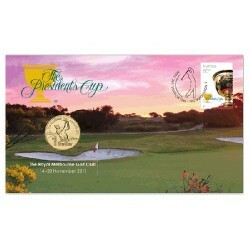 2011 $1 Presidents Cup PNC A highlight of the Australian 2011 golfing year is the hosting of The President’s Cup at the Royal Melbourne Golf Club from 14 to 20 November . 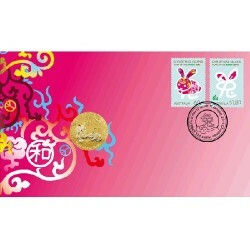 2011 $1 Year of the Rabbit PNC In 2011 we celebrate the Year of the Rabbit, the Perth Mint has struck this commemorative $1 coin for inclusion in Australia Post’s 2011 Year of the Rabbit Postal Numismatic Cover. 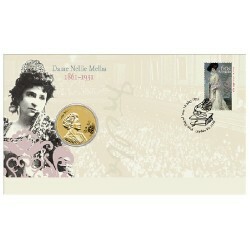 2011 $1 Dame Nellie Melba 1961-1931 Coin & Stamp Cover. Dame Nellie Melba was an opera soprano who became one of the most famous divas of her age.